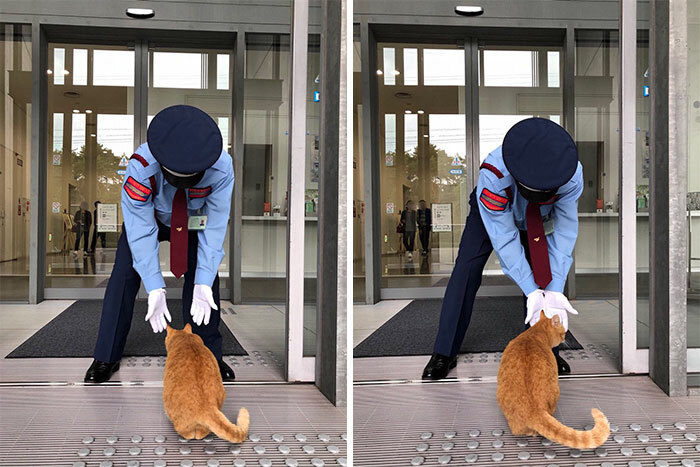 It started a couple of years ago when the art museum debuted a show entitled “Cats — Mitsuaki Iwago Photography Exhibition.” Just days after the exhibit opened, an unusual visitor arrived, creating the best publicity for the event you could imagine. The security guard, however, blocked the kitty cats’ path at the front door. In March of last year, the same black neighborhood cat returned. But this time it brought a ginger friend. 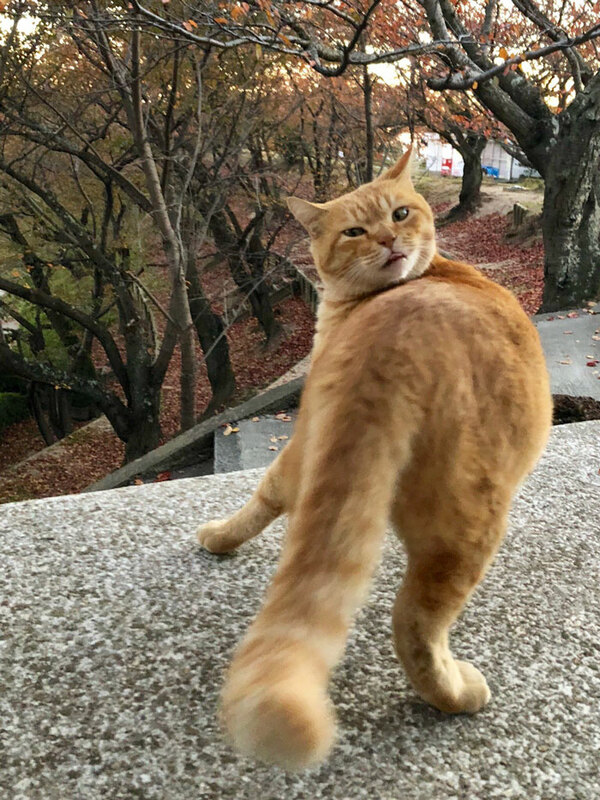 Sadly, the two of the cute cats were forced to turn around. 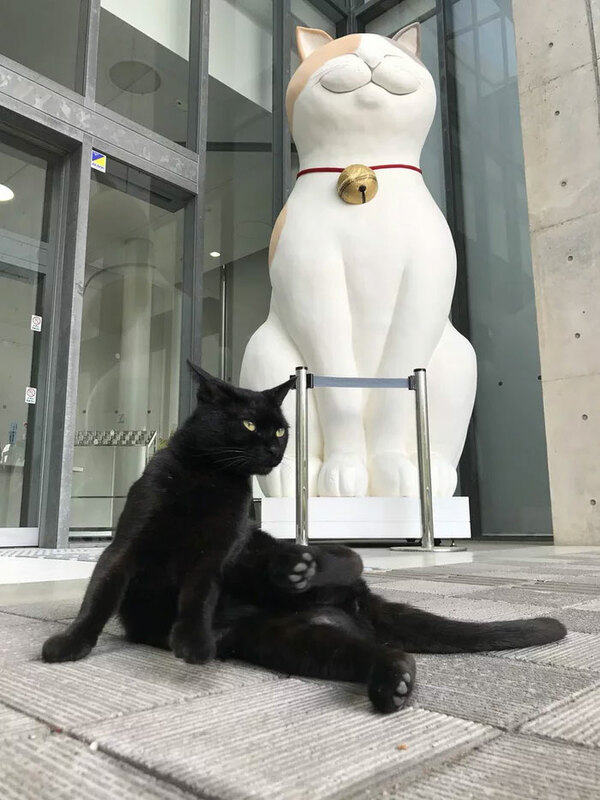 The persistent, funny cats have probably taken residence somewhere nearby the Japanese museum because they keep coming back again and again. Eventually, its staff started tweeting photos of the times they drop by, making them internet celebrities. 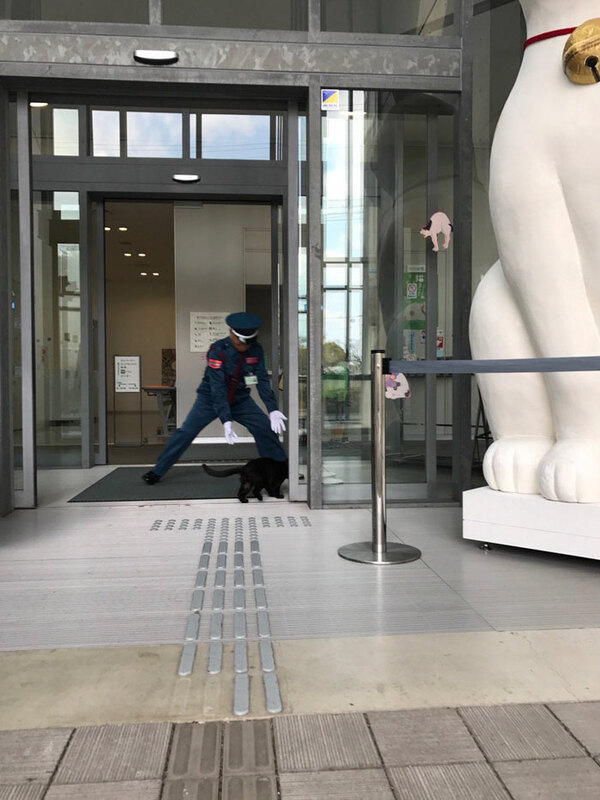 And while the weird cats haven’t yet officially made their way inside, at least they receive snuggles and pets from the white-gloved guards when they take the art lovers back outside. Scroll down for the full story and the stubborn cats’ photos below! Okay, before the comments section becomes an "anti-museum hatefest". 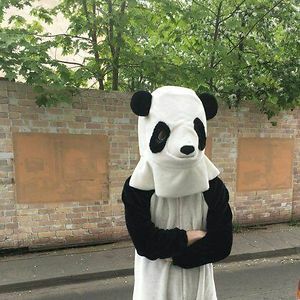 Let's try to be rational. Cats are lovely and all, but a museum cannot afford little potential damage makers. But it would be great indeed if they could find a way to make the cats comply and become their official mascots. Actually, the photos illustrate that the staff seems to be quite affectionate, too. Not to mention the potential hairballs and accidents that people could step in lol. Also, someone (staff and/or visitor) could be allergic. I think I read somewhere when the story broke out that they have owners and live nearby; no Idea why they keep trying to get in the museum. What the staff should do is yell and flail their arms and chase the cats while hissing and yelling. They cats should not be allowed in, and the way their doing it now, this will just be a never-ending game that the cats will eventually win. It's okay to train cats and the only way in this case is to scare them away. yeah, cause screaming and yelling and waving your arms is a great educational approach. Knowing how cats like to push things off a high place then yeah I understand why the cats cant come into the museum. Let them in. They're cats, ten seconds after they're in they'll want back out. Oh, cats, too. If they didn't have homes, I was thinking of that lovely front window becoming their home, with beds, a climbing tree, etc. 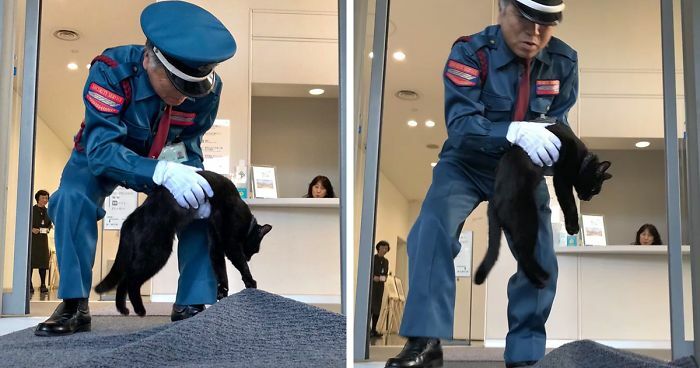 Wouldn't take much,and Japan is known for their official 'cat owners' of things like coffee shops and railway stations.